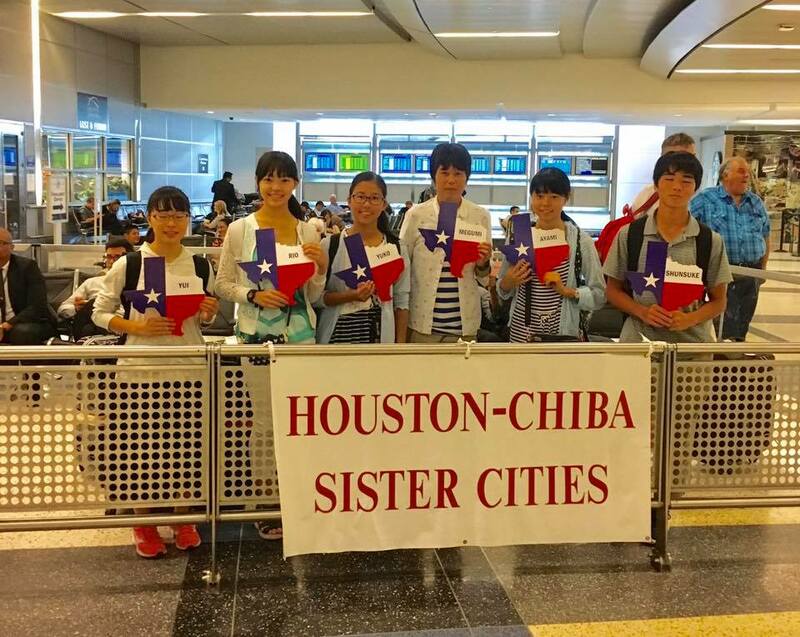 HOUSTON, TX (January 8, 2018) – Japan’s escalated investment in Houston, from financing of the Texas bullet train to the more than 150 Japanese-affiliated companies now in the Bayou City manufacturing products ranging from air conditioning systems to coatings for laundry detergent pods, will be on full display when the Japan-America Society of Houston presents its Japan Update Conference on Friday, January 26. The third annual conference exploring Japanese investment in Houston and the Lone Star State will be held at the Petroleum Club, 1201 Louisiana, starting at 11:30 a.m. Featuring presentations by Shinya Miyake, Regional Head for the Americas, Japan Bank for International Cooperation; Carlos Aguilar, CEO of Texas Central Partners, developer of the Houston-to-Dallas high-speed train; Norman Bafunno, Chief Competitiveness Officer for Toyota Motor North America; and Takeshi Ebisu, President and CEO of Daikin’s Goodman Global Group, the luncheon will provide the most comprehensive look at the scope of Japan’s influence in the region as the second-largest foreign investment market for Houston, outpaced only by the United Kingdom. 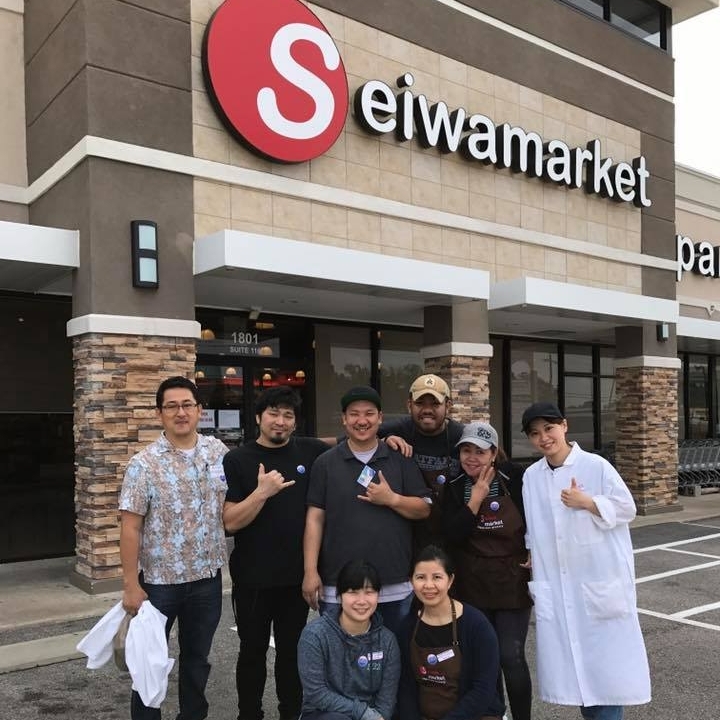 Between 2010 and 2015, Japanese-affiliated businesses in Houston grew by more than 34 percent. During the same time span, total trade between Houston and Japan grew from $2.2 billion to $5.1 billion. There are currently 156 Japanese-affiliated companies in the Houston area, according to the 2017 Japan Business Association of Houston directory. 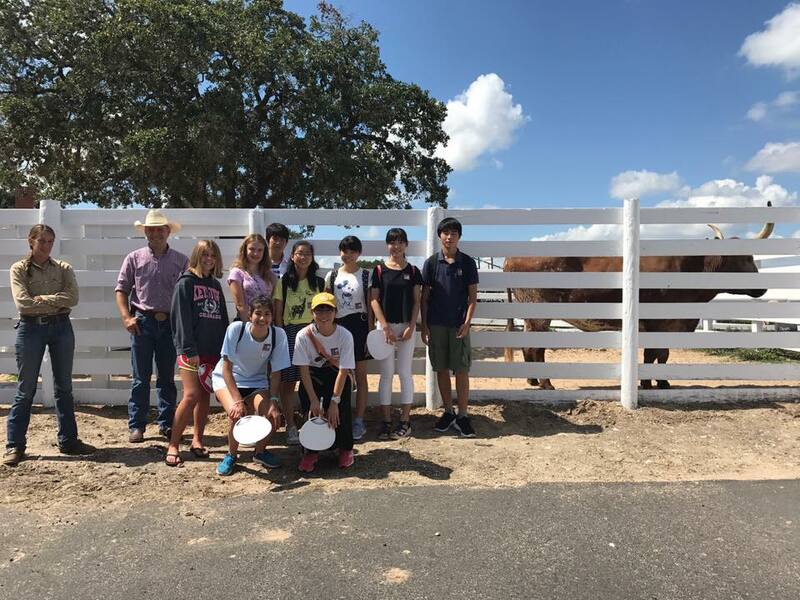 In 2015, Texas exported more than $8.6 billion of goods and services to Japan, second only to California, according to a 2015 report by the East-West Center in Washington D.C. The same report shows Japan as the fourth-largest creator of U.S. jobs from trade after Canada, Mexico, and China, including more than 46,000 in Texas. Most recently, Japan Central Railway, the company that developed the system for the Japanese Shinkansen bullet train, announced plans to collaborate with Texas Central Partners to develop the Texas bullet train from Houston to Dallas. In addition to Mitsubishi, Mitsui and Sumitomo, notable Japanese majority-owned companies in Houston include Daikin, a multinational air conditioning manufacturing company; Kuraray, a manufacturer of adhesives and chemical products such as water-soluble films that encase single-dose detergent packs; and Satake, a manufacturer of food processing equipment for the rice industry. Tickets are $45 for members of the Japan-America Society of Houston and $55 for non-members. For tickets and information, go to www.jas-hou.org or call 713-963-0121. The Japan Update Conference is supported by the National Association of Japan-America Societies with a grant from The Sasakawa Peace Foundation. For all inquiries regarding the event, please contact the Bernard Kaplan of Kaplan Public Relations at (713) 784-1077. 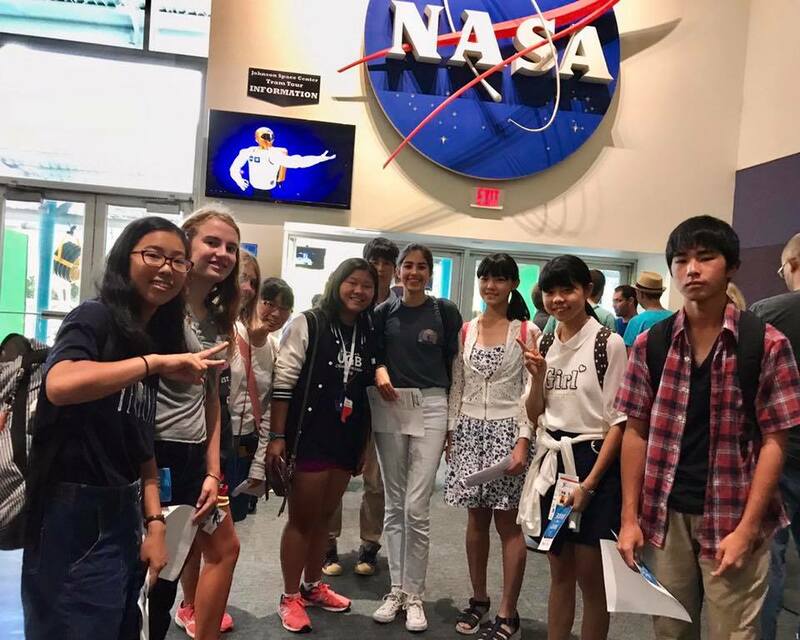 The Japan-America Society of Houston’s sister organization in New York – Japan Society – is offering an exciting opportunity for high school students to visit Japan.. The Junior Fellows Leadership Program is a three-week culturally immersive learning experience for high school students who possess strong leadership skills and demonstrate potential to become future leaders. 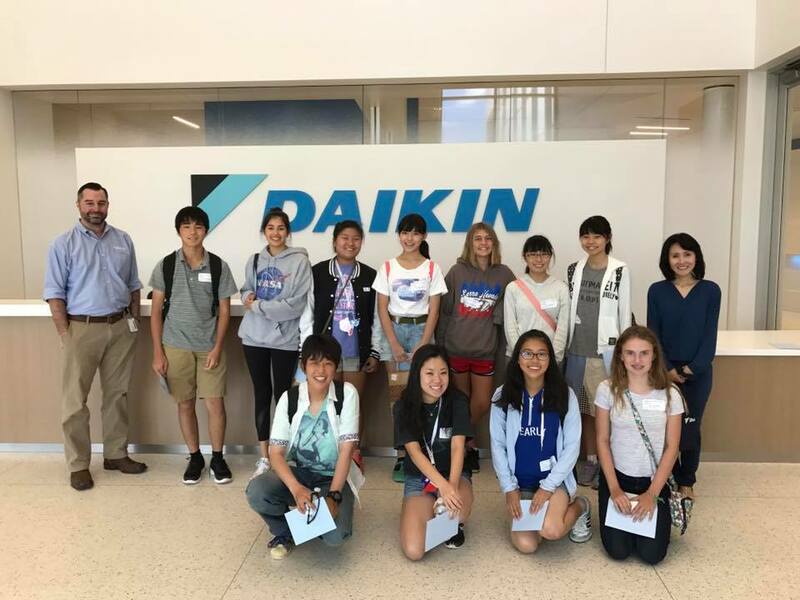 During this program conducted in New York and Japan, Junior Fellows have the opportunity to build networks with current industry leaders and program alumni, stay with a host family in Tohoku (northeast Japan), attend a local high school, and experience Japanese history and culture through hands on experiences and historical site visits. JULY 29: Return to the U.S.
*Program contents and dates are subject to change. U.S. high school students from 9th to 11th grade are eligible to apply. Junior Fellows will be selected based on demonstrated leadership potential and skills, as well as the qualities necessary to have a successful and engaging experience with other program participants; including (but not limited to): ability to adapt to a foreign culture, emotional and interpersonal maturity, strong academic background and a demonstrated interest in Japan. Knowledge of Japanese language is helpful, but not required. 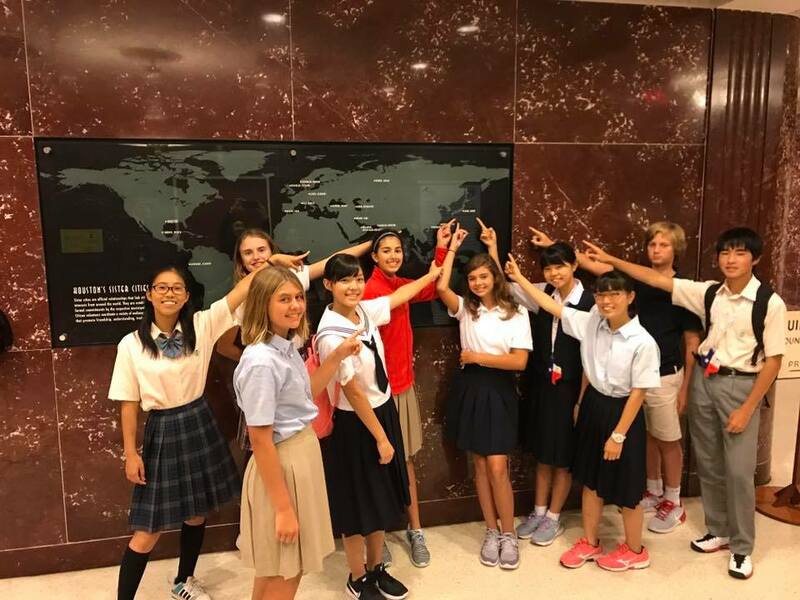 Keizai Koho Center (KKC), in cooperation with the National Association of Japan-America Societies (NAJAS), will be hosting the KKC Study Tour to Japan 2018 for U.S. and Canadian social studies teachers from June 25-July 2, 2018. 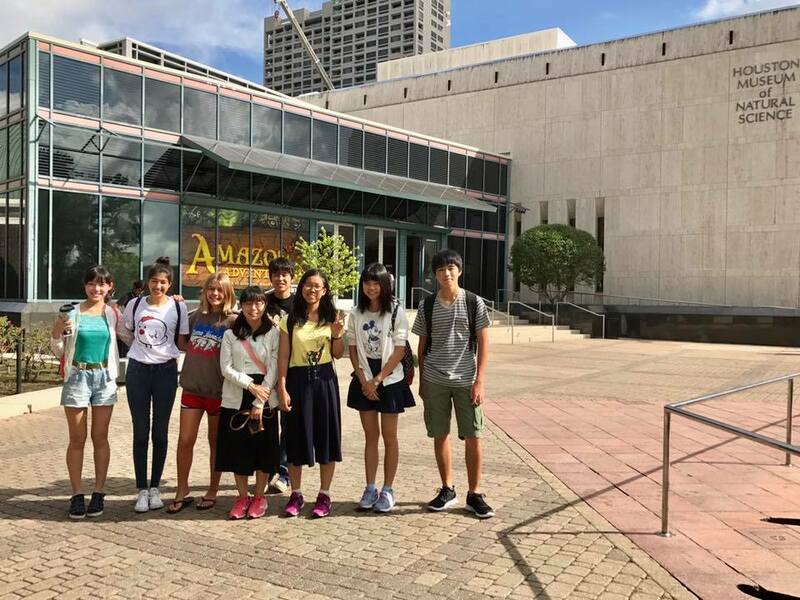 The 8-day study program is designed to allow educators to learn first hand about contemporary Japanese society and to enhance their classroom teaching of global perspectives. Highlights of the fellowship include visits to Japanese schools, major companies, and industrial facilities. In addition, sightseeing excursions are planned to provide fellows with memorable cultural experiences. 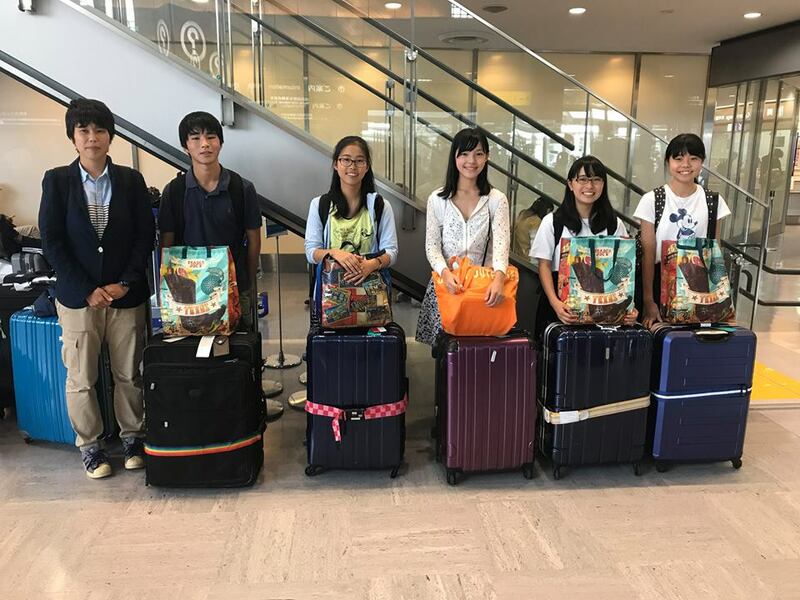 KKC provides round trip air transportation from participants' home city to Japan, as well as accommodations, ground transportation and meals associated with the ten day program. Be middle or high school classroom teachers of Economics, Social Studies, Geography or History (grades 6-12). Make a presentation and contribute to discussions at a symposium organized as part of the program. Submit a lesson plan on Japan for their own classroom to KKC by Oct. 31, 2018. Submit a final report to KKC by January 10, 2019, which describes how experiences and findings on the tour are used in the classroom and other occasions. Relevant copies of any school newspaper/magazine articles are appreciated. Consent that the lesson plans and the final reports become the property of KKC to be posted to its website for use by other school teachers. Understand that the demands of the itinerary are such that only individuals physically able to travel without special assistance should consider the participation, special diets cannot be provided and a smoke-free environment cannot be assured. Understand there will be no provisions for spouses to accompany fellows due to the nature of the program and logistical requirements. Applications are being accepted on-line through February 1, 2018. For details, please click on the link below. The Keizai Koho Center (KKC) is the independent, nonprofit organization affiliated with Nippon Keidanren (Japan Business Federation). Its mission has been to promote a better understanding of Japan's economy and society, both in Japan and abroad through a variety of publications, programs, fellowships and exchanges. The National Association of Japan-America Societies, Inc. (NAJAS) is a private, non-profit, non-partisan organization that offers educational, cultural and business programs about Japan and U.S.-Japan relations to the general public through its member Japan and Japan-America Societies. NAJAS is the only national non-profit network in the United States dedicated to public education about Japan. NAJAS consists of approximately 40 independent Japan-related organizations located in 32 cities around the country. Its membership cuts across usual group boundaries (business, political, academic, American, Japanese, etc.) and affords a variety of perspectives on U.S.-Japan relations. JASH is pleased to share that the students of Baylor University and Tohoku University, inspired by the "Humans of New York" photoblog, have joined forces to share the stories of the citizens of Minamisanriku who were impacted by the 2011 Tohoku Earthquake and Tsunami. 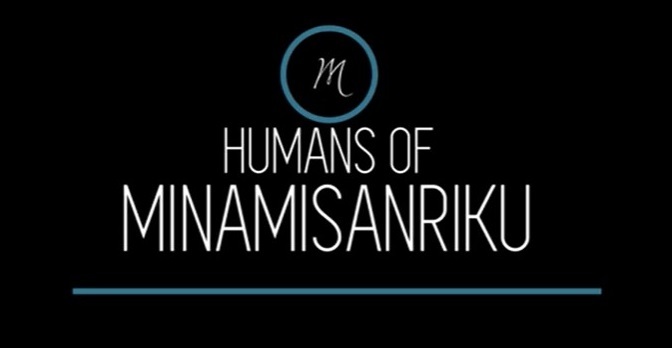 Scroll down to learn more about how the project came to be and to watch the newly-released "Humans of Minamisanriku" videos. 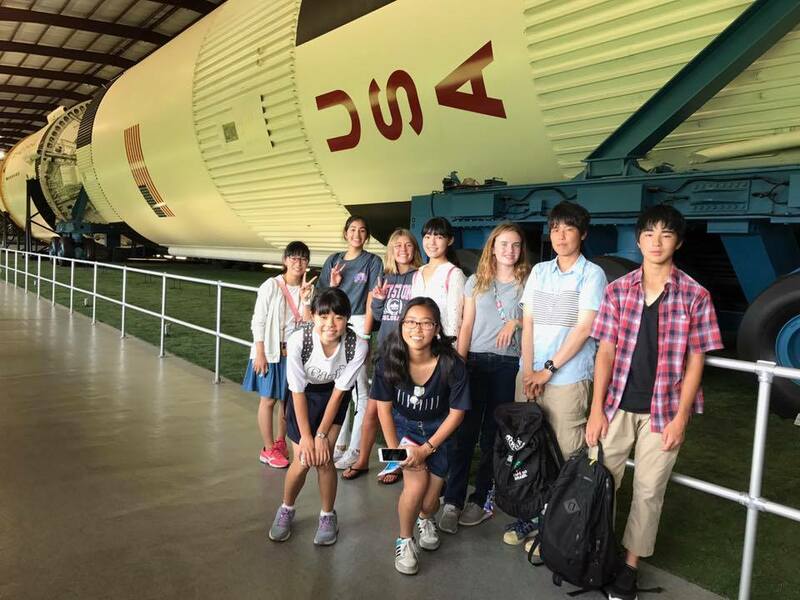 The Baylor in Japan (BIJ) Summer Intensive Japanese program began in 2012, merely a year after the 2011 Tohoku Earthquake and Tsunami. The BIJ program not only focuses on language learning but also emphasizes community service. In the summer of 2012 following the tsunami disaster, during a time where basic shelters were practically non-existent, we had the privilege of visiting the tsunami-stricken area owing to everyone’s support. We initially arrived with trepidation at Minamisanriku in fear that our presence would further cause burden, but as we met the people and volunteered in the community, the people of Minamisanriku welcomed us with smiles despite the catastrophic devastation. We realized that we needed to go back to Minamisanriku and continue our support. We have been visiting Minamisanriku ever since. We were amazed by the resilience and determination of the people of Minamisanriku as we witnessed their town improve year after year. Amidst their unwavering strength, their worst fear was to be forgotten by the rest of the world. It was then we began to consider what we could do to create a lasting impact. Inspired by the photoblog “Humans of New York”, which has touched the lives of about eighteen million people, Baylor and Tohoku University students in 2017 collaborated to establish the Humans of Minamisanriku project (BIJ’s cultural exchange program with Tohoku University was established in 2015). We dream of showcasing the town of Minamisanriku, its people, and their stories to the world. Building on our experiences in Minamisanriku, we aspire to grow as human beings and reflect on what it means to serve. We would like to extend our thanks to the town and residents of Minamisanriku, the “Shuketsu: Disaster Prevention Dream Team and the Shuketsu Assist Team” for their support since 2012, and Mr. Seietsu Sato, the local guide, for leading the students since 2013. The JAPAN ICU FOUNDATION has recently launched a merit-based scholarship for US citizens to attend the INTERNATIONAL CHRISTIAN UNIVERSITY (ICU) in Mitaka, Tokyo called the JICUF Global Scholarship - U.S. Scholars Initiative (USSI for short). The SSI will cover the entire cost of tuition for four years of undergraduate study at ICU. Applications are being accepted through December 1, 2017. Apply online here. For those students or families who are interested in learning more, JAPAN ICU FOUNDATION is hosting a webinar on Thursday, November 2 at 8:00pm (EST). Registration for the webinar can be found here: https://jicuf.clickmeeting.com/ussi-11-02-17/register. 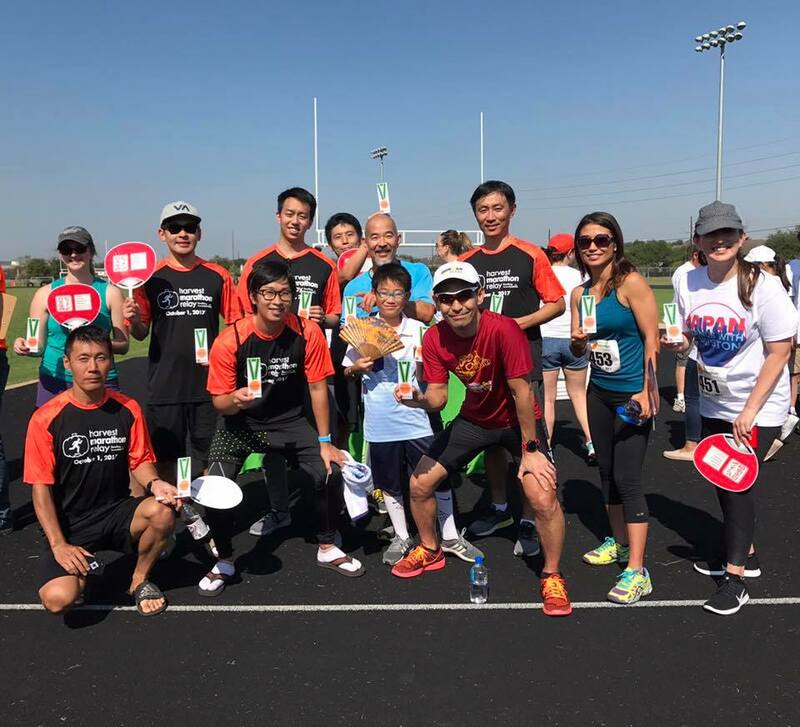 Japan stood with Houston today at the inaugural Harvest Marathon Relay benefiting the Houston Food Bank! First Prize in the Challenge Team Division!!!!! 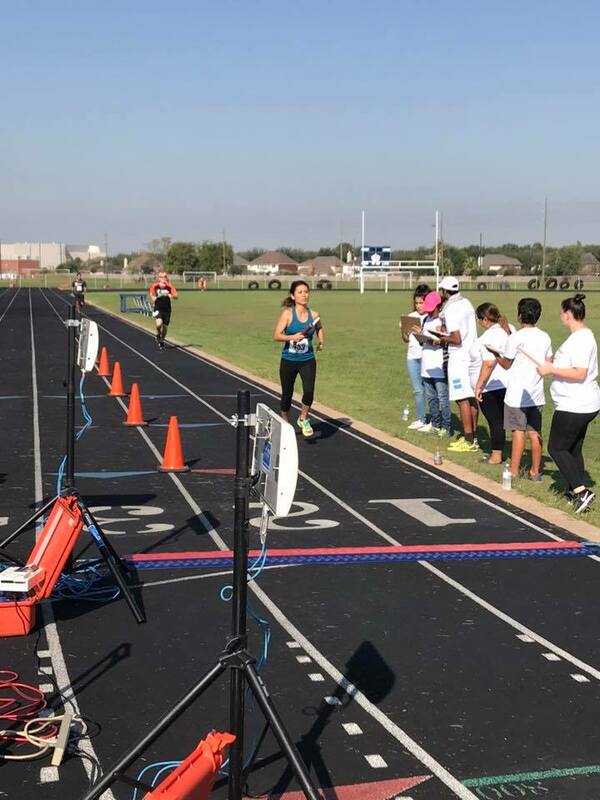 Thanks to all our runners who ran a minimum of 2 miles each. 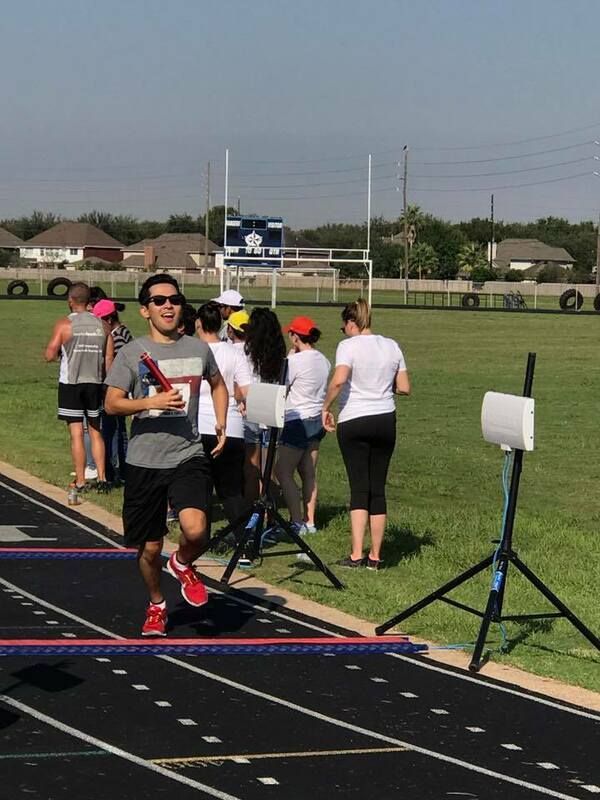 Special gratitude goes to our fearless leader Ansai Bucho who crafted the roster and coached us over the finish line in under 3 hours! 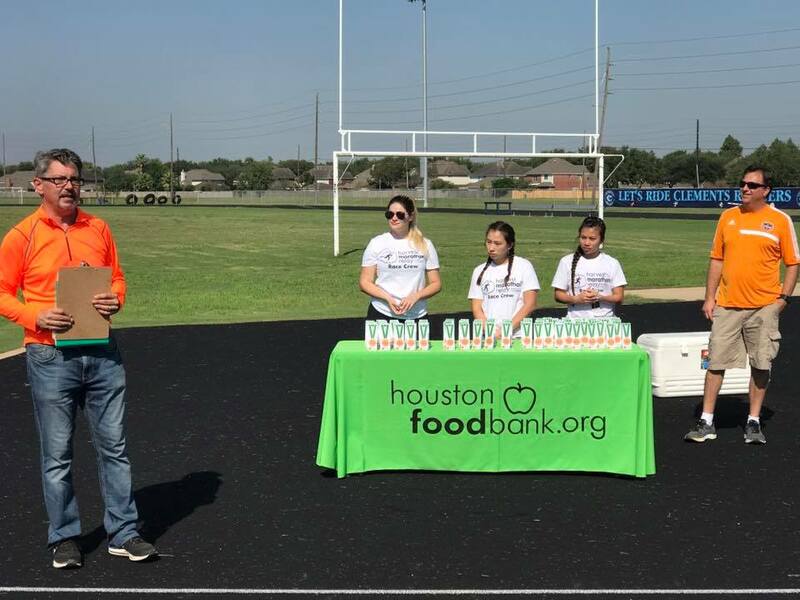 We were honored to help the Houston Food Bank raise over $10,000, and look forward to continuing our support -- as well as defending our title -- next year! 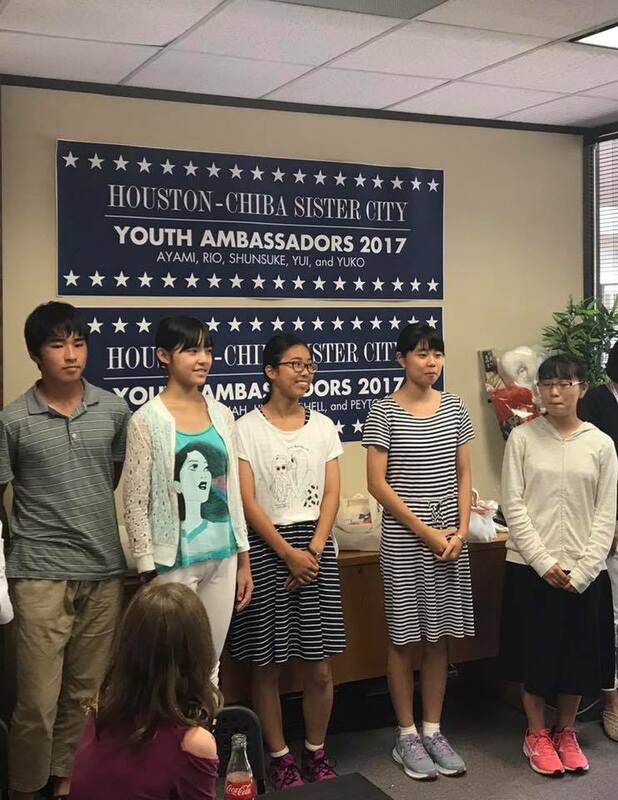 From August 13-24, 2017, five (5) middle school students representing Houston's sister city of Chiba, Japan, traveled to Houston to help mark the 45th year of the Houston-Chiba Sister City relationship and the 35th year of the Houston-Chiba Sister City Youth Ambassador Program. 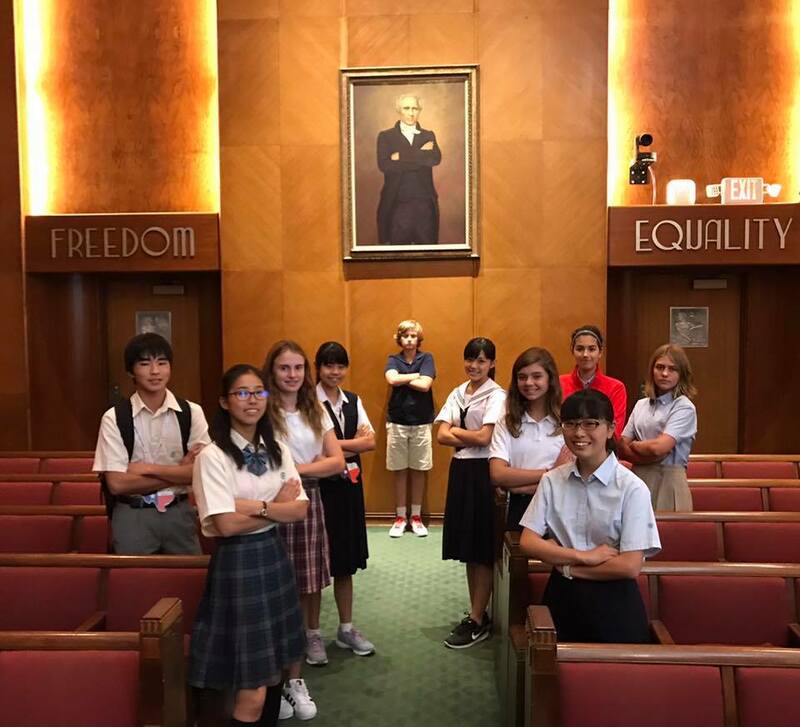 The Chiba Youth Ambassadors -- Shunsuke, Ayami, Yuko, Rio, and Yui, along with chaperone Megumi -- were welcomed by River Oaks Baptist School Ambassadors -- Mitchell, Peyton, Lily, Hannah, and Cameron -- and their families. 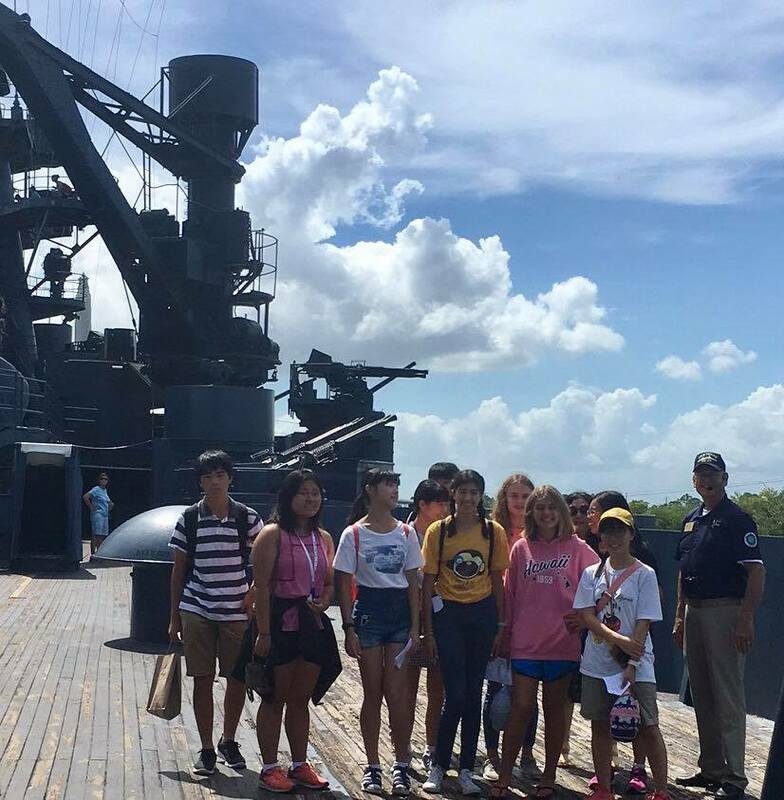 Students visited Houston landmarks such as Battleship Texas and the Museum of Natural Science, toured one of the largest factories in the U.S., spent a week in classes in an American school, and even met Houston celebrities along the way. Thank you, Mayor Turner and Dallas Keuchel! Unfortunately Hurricane Harvey cut the program short; however, lasting memories were made and lasting friendships were forged. 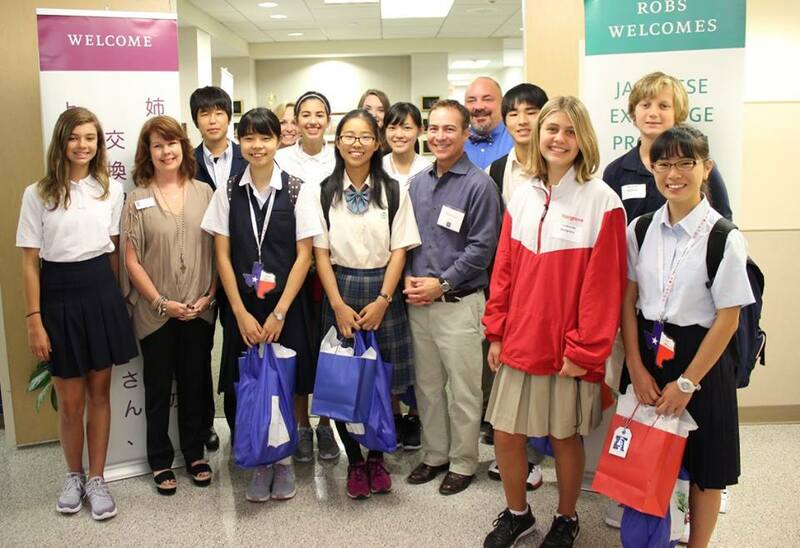 Special thanks go to River Oaks Baptist School for making the experience a special one for our friends from Chiba. JASH Board Members alongside NAJAS Secretary Dr. Bill Duncan welcomed to Houston Ambassador David B. Shear. 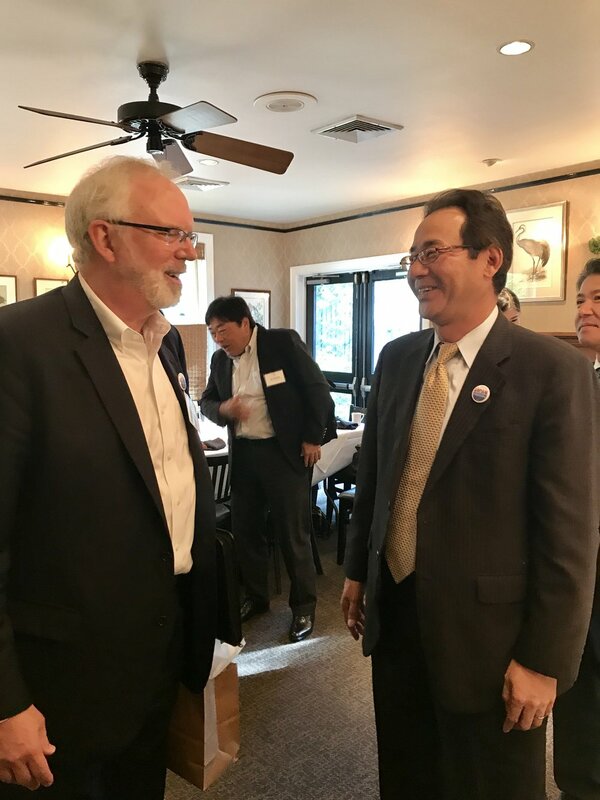 Ambassador Shear, Senior Advisor for Asia Pacific and Southeast Asia Practices with McLarty Associates, is the recently elected Chairman of the National Association of Japan America Societies (NAJAS). During his Foreign Service career, he served as US Ambassador to Vietnam, Assistant Secretary of Defense for Asian and Pacific Security Affairs and as a Foreign Service officer in Japan. See below for his bio. 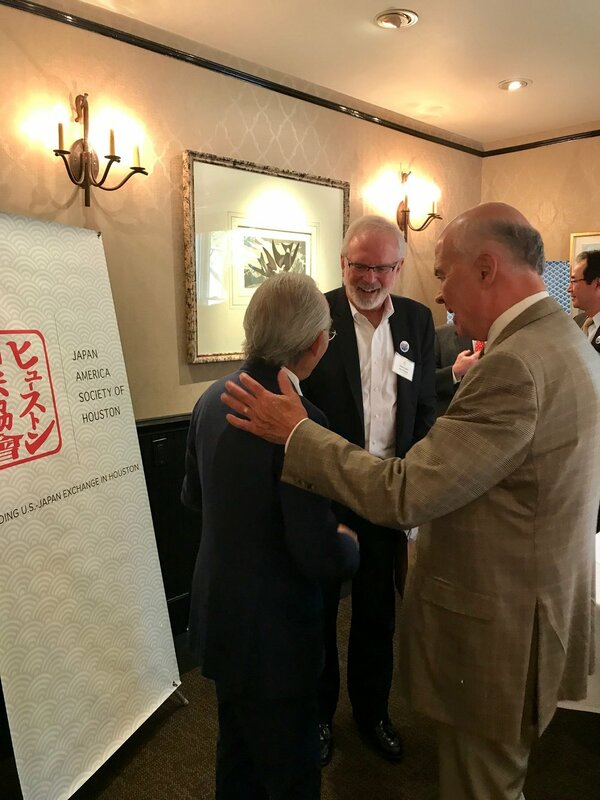 Ambassador Shear was in Houston for the Sasakawa Peace Foundation USA's inaugural event in The Alliance Working in America Series, which focused on the U.S.-Japan Partnership on Energy, Business and the Challenges of China and North Korea. Ambassador Shear provided insight into the security environment in the Asia Pacific in the face of growing threats from North Korea and marked how U.S.'s "alliance with Japan is an island of certainty" in a sea of insecurity and unpredictability. David Shear performed the duties of Principal Deputy Under Secretary of Defense for Policy from June, 2016 to January 2017. He was the Assistant Secretary of Defense for Asian and Pacific Security Affairs from September, 2014 to June, 2016. Prior to his confirmation in July 2014, Mr. Shear served for 32 years in the American Foreign Service, most recently as the United States Ambassador to Vietnam. He has also served in Sapporo, Beijing, Tokyo, and Kuala Lumpur. In Washington, he has served in the Offices of Japanese, Chinese, and Korean Affairs and as the Special Assistant to the Under Secretary for Political Affairs. He was Director of the Office of Chinese and Mongolian Affairs in 2008-2009 and served as Deputy Assistant Secretary in the Bureau of East Asian and Pacific Affairs in 2009-2011. Ambassador Shear was a Rusk Fellow at Georgetown University’s institute for the Study of Diplomacy 1998-99. He is the recipient of the State Department’s Superior Honor Award and the Defense Department’s Civilian Meritorious Service Award for his work in U.S.-Japan defense relations. Ambassador Shear graduated from Earlham College and has a Master’s degree in International Affairs from the Johns Hopkins School of Advanced International Studies. He has attended Waseda University, Tai-wan National University, and Nanjing University. He and his wife Barbara have a first degree rank in the practice of Kendo. He speaks Japanese and Chinese. JASH received a kind letter of sympathy from Mayor Akira Shinoda of Niigata City. 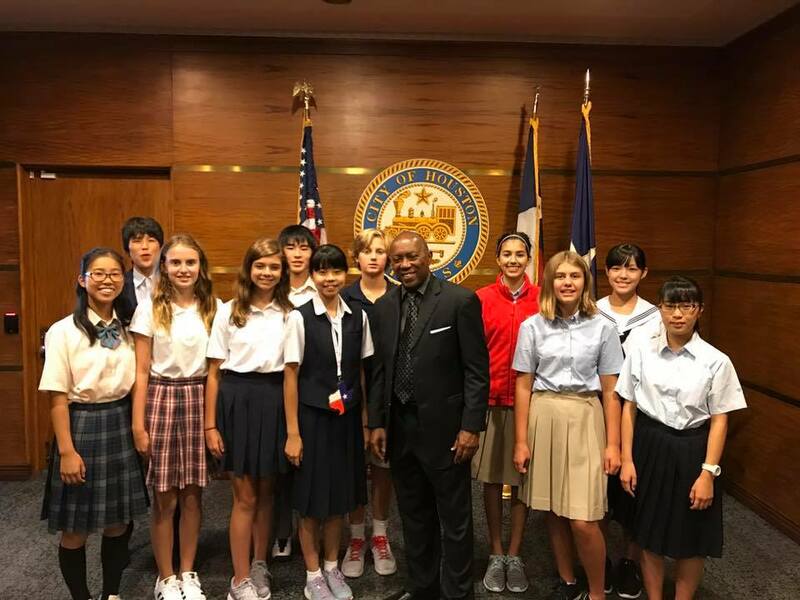 Niigata City and Galveston have enjoyed over 50 years of friendship as sister cities, and JASH is honored to be a supporter of this longstanding relationship. Many thanks to Mayor Shinoda and our Niigata friends for their concern and support. 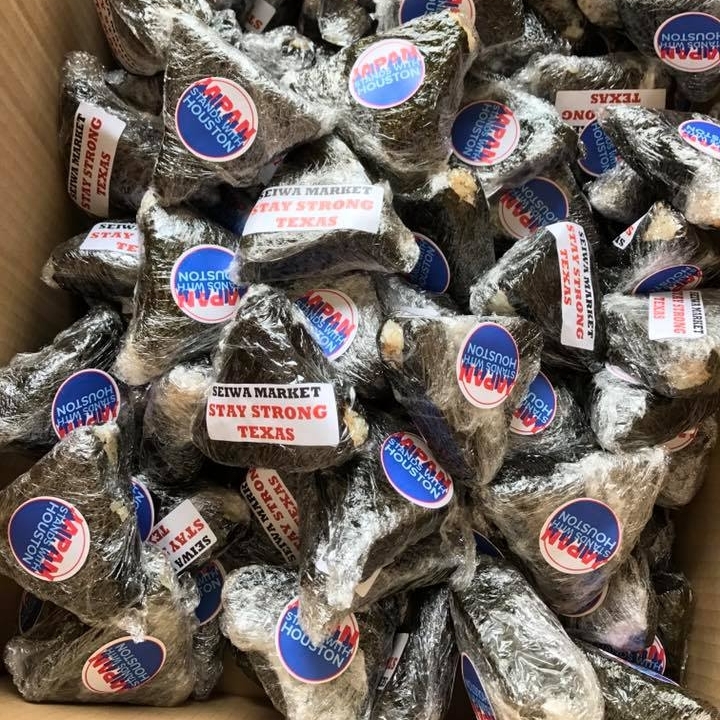 JASH friends Seiwa Market and Ramen Bar Ichi helped kick off the #JapanStandsForHouston campaign with a contribution of 300 handmade onigiri, bread, tea and treats. 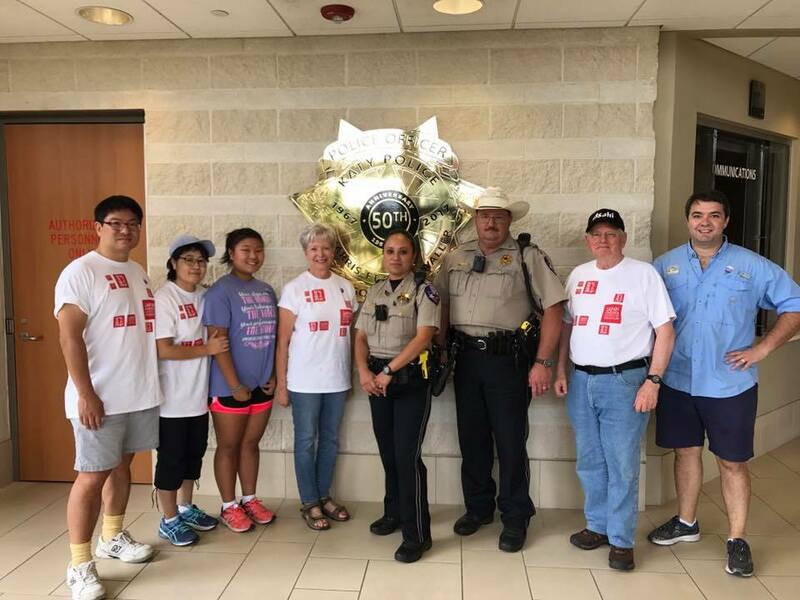 All items were received by the Katy Police Department and distributed to first responders and victims in need in the Katy area. Thank you, Seiwa and Ichi, for encouraging Texans to stay strong through your generous contribution. 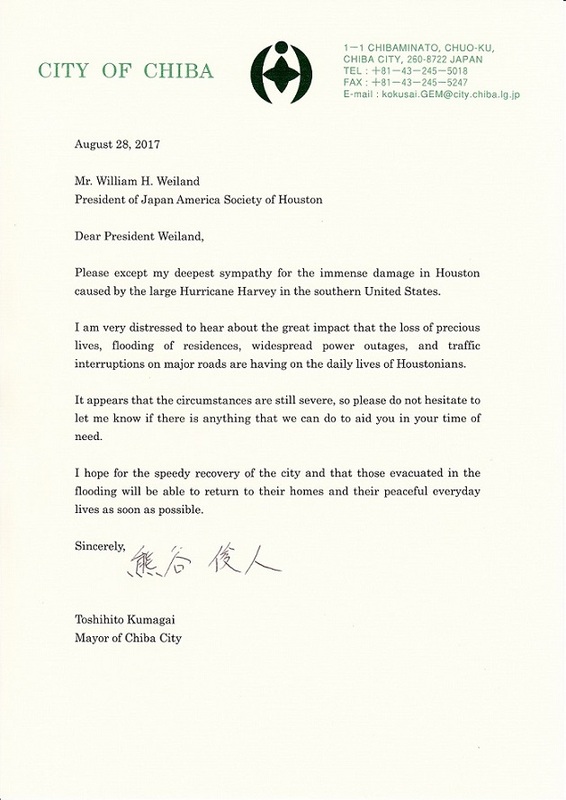 JASH received a kind letter of sympathy from Mayor Toshihito Kumagai of Chiba City, Houston's Sister City in Japan. Many thanks to Mayor Kumagai and our Chiba friends for their concern and support. In the immediate aftermath of the terrible disaster that has affected the residents of Houston and its surrounding areas, we wish to extend to you our concern for your and your loved ones’ wellbeing. 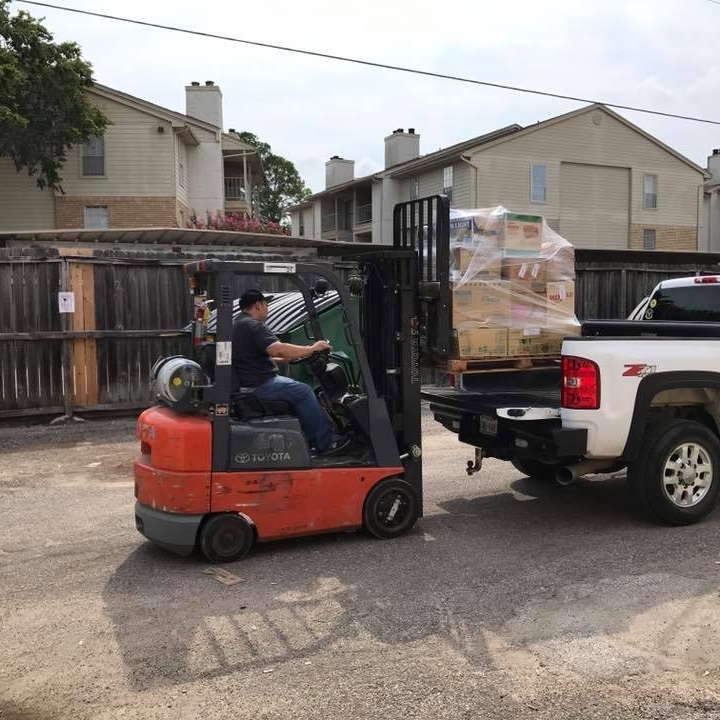 A number of individuals, organizations and Japanese businesses have contacted us to know how they could contribute to local relief efforts and inquiring whether we have plans for a program to do so. We have responded that we are working to define how best we may be able to serve the community relief and recovery efforts. We recognize that recovery will be an extremely long process. Victims, volunteers, members of relief organizations and government officials at all levels will be taxed to their limits of endurance. Accordingly, we hope to provide assistance at times and in areas we identify as needing attention. We have established a fund to be utilized to promote our efforts, and we will inform you of account details and of opportunities for you to participate shortly. In the meantime, please make safety your highest priority. If you believe we may be able to provide you assistance, please communicate with us. 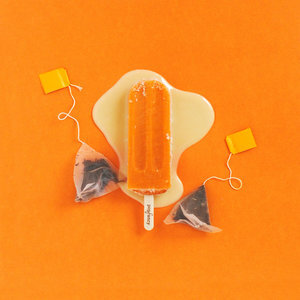 JASH's newest favorite summer treat is the LAVENDER MATCHA GREEN TEA POPSICLE from Popfancy! 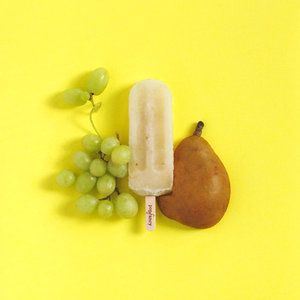 Enjoy this and other fresh, handcrafted, gourmet flavors at a discount through October 31, 2017. Simply mention "Japan-America Society" at check out and get 15% off your purchase. 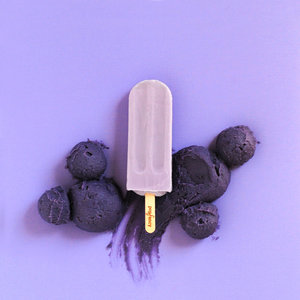 Click here for Popfancy locations. Houston Ballet's 2017/18 Season celebrates the splendor of dance with exceptional ballet classics and intriguing contemporary work from across the globe. JASH Members are invited to get a taste of what the season has to offer through discounts on tickets to select performances of season openers POETRY IN MOTION and MAYERLING. The 2017/2018 Season opens with an exhilarating mixed-repertory program featuring a collection of 3 works that reflect different traditions and expressions in ballet. Stanton Welch’s contemporary ballet Powder for 14 dancers, done to Mozart’s Clarinet Concerto in A Major. Rogers & Hammerstein’s beloved Broadway musical Carousel, And George Balanchine’s Symphony in C Major, this neo classical ballet radiantly showcases the full company’s technical aptitude and poise. Houston Ballet’s premiere of Sir Kenneth MacMillan’s Mayerling. This 3-act narrative ballet is based on the historic 1889 incident involving the murder-suicide of the sole heir to the Austro-Hungarian Empire, Crown Prince Rudolf, and his 17-year-old mistress, Baroness Mary Vetsera. Set to John Lanchbery’spowerful arrangement of Franz Liszt compositions, Sir Kenneth’s last full-length balletboldly requires dancers to fully embody intense characters through dramatic acting and dancing. Houston Ballet is pleased to be the first North-American company to perform this historic and lavish production about disastrous obsession and unrequited love. Call Pam Perry at the Houston Ballet, 713-535-3258, for discounted tickets for Japan-America Society. To purchase tickets online at houstonballet.org, use Promo Code 3525 at checkout. On May 27, 2017, Japanese language learners from across the country competed in the 14th Annual All-U.S.A. High School Japanese Language Speech Contest. The event was presented by the Japanese Language Scholarship Foundation (DBA Aurora Foundation) and held at the University of California, Irvine. All competitors exhibited high proficiency in Japanese as they delivered speeches and answered questions on a variety of topics that ranged from personal interests and personal triumphs to broader discussions of the power of motivation and the colors of life. The 24th annual Japan Festival Houston was held on May 6-7, 2017. Blue skies, warm sunshine and colorful koinobori welcomed over 20,000 visitors to Hermann Park and Houston’s Japanese Gardens for a special celebration of Japan’s National Children’s Day holiday. 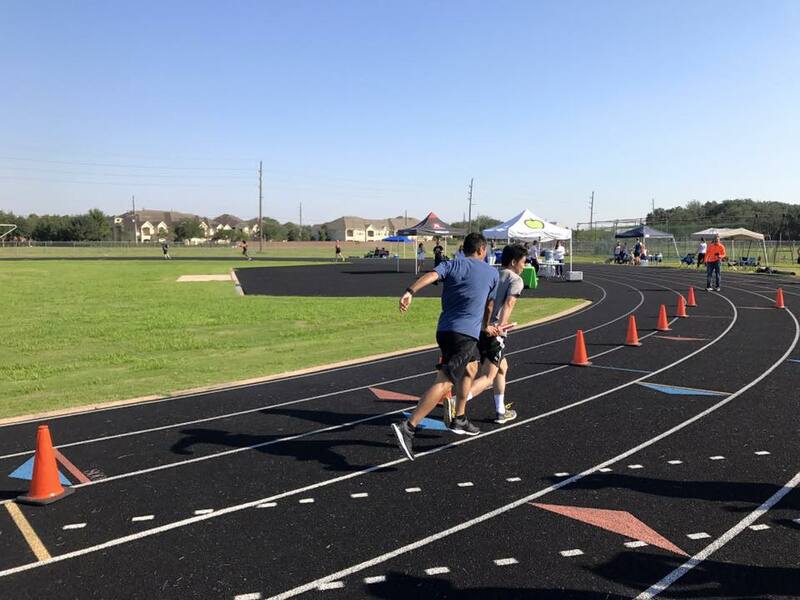 The always-family-friendly event featured over 60 new and returning vendors that promoted Japan through authentic food, arts and crafts, merchandise, exhibits and demonstrations, and special “make-and-take” activities for kids. Festivalgoers shopped for anime goods, handcrafted jewelry, and antique kimonos; sampled takoyaki, Milk Bread, kakigori, and Fuji-san cookies; tried their hand at kingyo tsukui, kabuto origami folding, koinobori bag making, and taiko; and experienced the art of Japanese tea, Japanese flower arranging, bonsai, various martial arts, and mikoshi. They even had the opportunity to meet a JAXA astronaut and to play the role of royalty in a Ryukyu Kingdom Imperial Parade. Newcomers to the festival included Kendama USA, whose representatives shared their skills and gave away a number of kendamas. 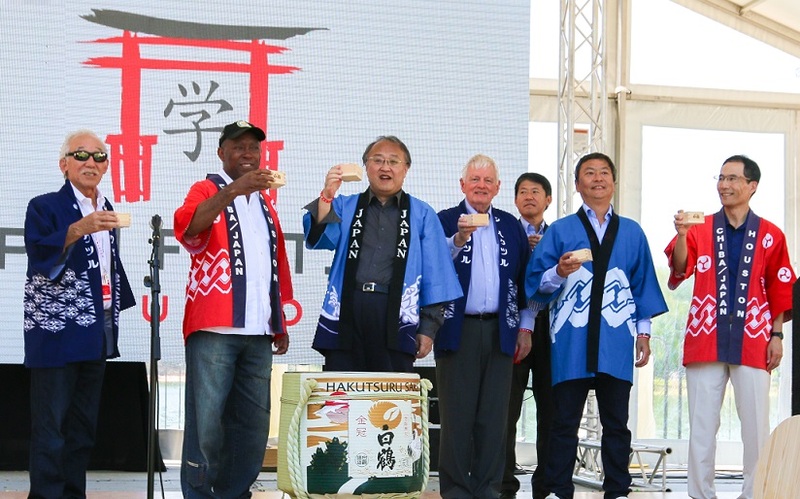 Hakutsuru also joined the festival to give Houstonians a sampling of sake from nigori to daiginjo. Glico provided Pejoy to guests through a dice roll game. 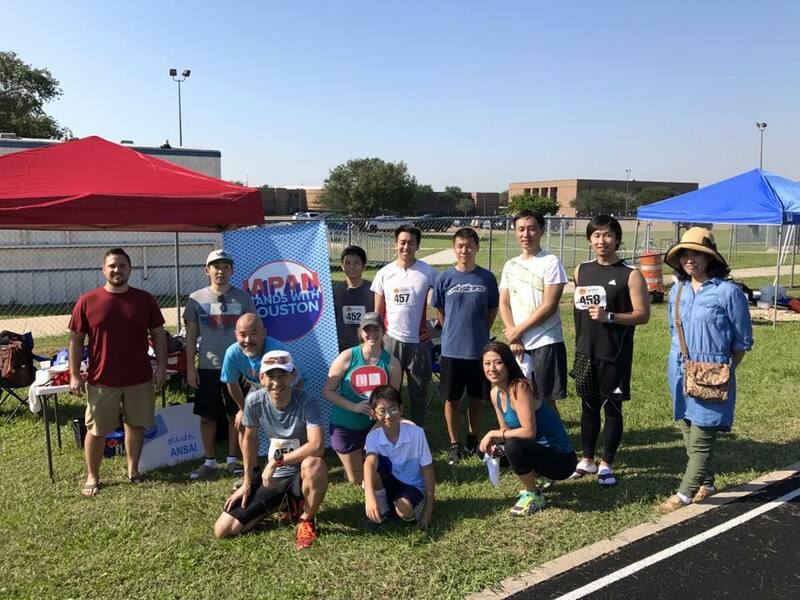 And a special appearance by TV Tokyo’s “Who Wants to Come to Japan” program provided Houstonians with the chance to score a trip to Japan. Other opportunities for travel to Japan were made possible by ANA through the “Show Your Heart for Japan Festival” campaign and the ever-popular Japan Festival Cosplay Contest. While the activities were plentiful, one of the biggest draws of the festival was the entertainment. In keeping with this year’s theme, the Gulf States Toyota Waterfront Stage featured kagura dance and storytelling by Florida-based artist Surapsari. Young talent from Japan was also showcased through the performances of hip-hop dance and singing group Jr. Exile of Japan’s talent development program Project TARO. Owing to the support of the community, Japan Festival proudly remains FREE and open to the public. To our sponsors and partners, vendors and volunteers, performers and participants, families and friends, we thank you for another wonderful year. Special gratitude goes to the 2017 Japan Festival Sponsors: Japan Business Association of Houston, Gulf States Toyota, Kuraray America, Inc., Sumitomo Corporation of Americas, JGC America, Inc., and ComputerDojo, among others. On April 13, 2017, the Japan-America Society of Houston joined the National Association of Japan America Societies and six other societies from across the U.S. in celebrating the 100th Anniversary of the Tokyo America-Japan Society at the Imperial Hotel in Tokyo. Their Imperial Majesties, Prime Minister Abe, Foreign Minister Kishida, and 500 other key supporters of the U.S.-Japan relationship attended the event to mark this important milestone in the history of the America-Japan Society, which has weathered both World War II and bilateral trade wars, and played an indispensable role in strengthening ties between our nations. To watch video footage from the event, click here. 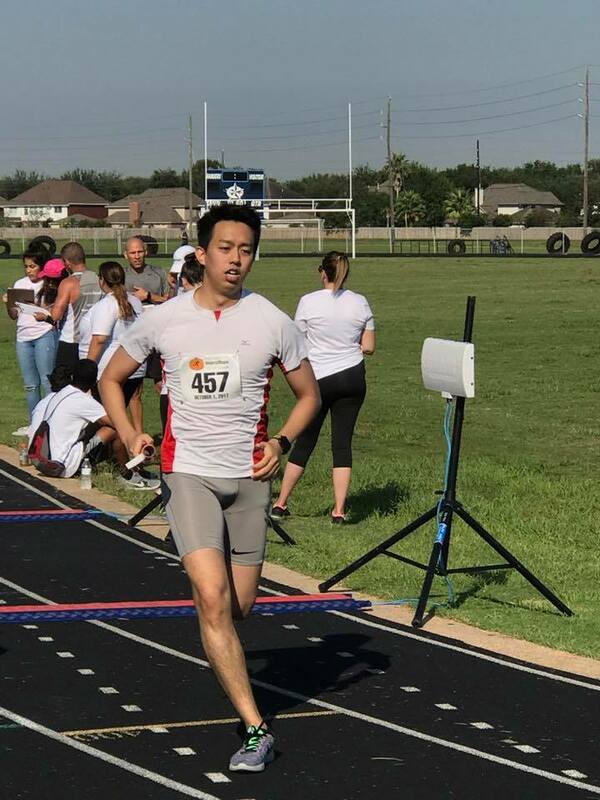 On Saturday, March 4, 2017, JASH and the Consulate-General of Japan in Houston hosted the 28th Annual Texas State Japanese Language Speech Competition. 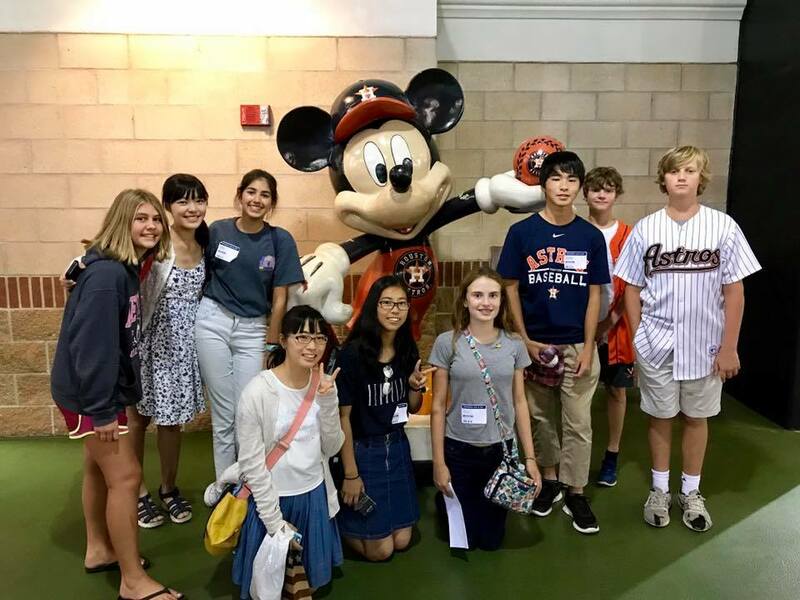 51 participants - ranging from middle school students and life-long Japanese learners - gathered at Rice University to demonstrate their Japanese language skills. The contest showcased students reciting poetry and presenting original speeches and, moreover, will feature a creative display of student determination, devotion, and tenacity as language learners through carefully crafted haiku and skits performed in Japanese. Special recognition was given to the top three contestants in each competition division. The top two contestants from the region will advance to State. *1st and 2nd place winners will go on to compete in the National Aurora Japanese Language Speech Competition in Los Angeles, CA. On February 10, 2017, as President Trump and Prime Minister Abe, met at the White House for the first U.S.-Japan summit of the new administration, we gathered for the 2nd annual JAPAN UPDATE HOUSTON CONFERENCE to hear experts from the U.S. and Japan weigh in the future of U.S.-Japan trade relations. At the forefront of the conversations were the challenges, trends, and strategies shaping U.S.-Japan trade. 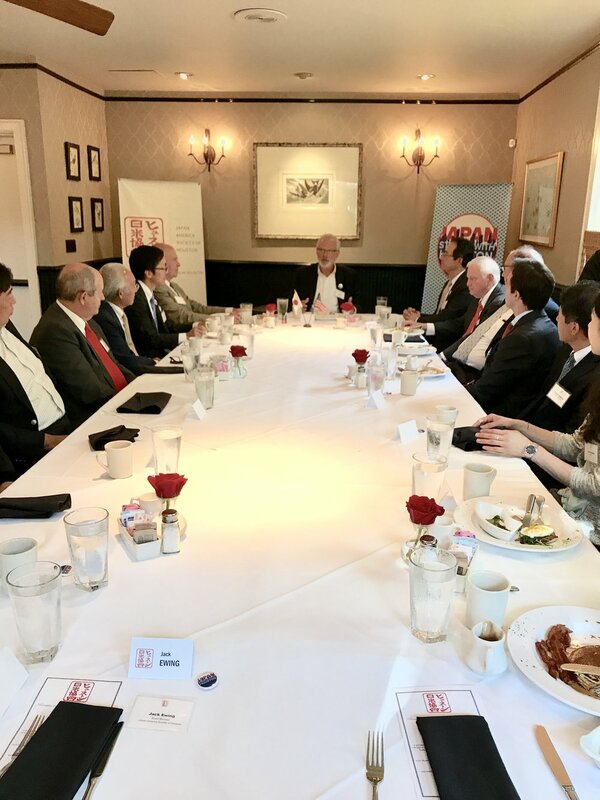 Discussions also touched on the impact of U.S.-Japan trade on the Houston area and the relevance of U.S.-Japan trade in maintaining security in the Asia-Pacific region. Dr. Mireya SOLIS, senior fellow and the Philip Knight Chair in Japan Studies at the Brookings Center for East Asia Policy Studies, addressed issues pertaining to the U.S. domestic atmosphere on trade. While the U.S. and Japan has had a long history of trade friction, the Trans-Pacific Partnership (TPP) provided a compromise in the form of an alignment of interests. In SOLIS's view, a post-TPP agenda will see Japan maintaining the TPP while they gauge changing U.S. trade policies. Yorizumi WATANABE, Professor of International Political Economy at Keio University, highlighted benefits of free trade between the U.S. and Japan in the automotive sector. WATANABE also stressed that reinforcing economic cooperation between the U.S. and Japan is critical to ensuring China becomes a responsible partner in the international community. Click here to view WATANABE's presentation. 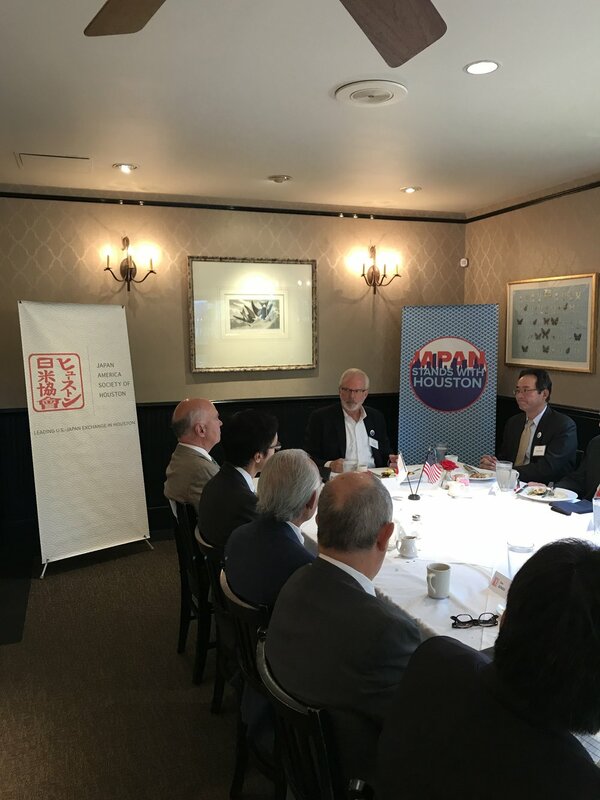 Bob HARVEY, President and CEO of the Greater Houston Partnership, shared how the Houston-Japan relationship is the most mature relationships Houston has with a foreign country. Japanese investment in Houston has doubled in the last decade, and there is now over $4.9 billion in trade between Houston and Japan. John MOSELEY, General Manager of the Trade Development Department of the Port of Houston Authority, noted how Japan is the largest exporter to Houston in terms of tonnage per year. Japan also ranks as the 4th largest export destination in terms of volume. With the opening of the Panama Canal, the Port of Houston Authority's anticipates even more interaction with Japan. Ambassador J. Thomas SCHIEFFER, founder and CEO of Envoy International LLC, turned attention to the underappreciated points of the U.S.-Japan alliance and free trade. Noting that 20% of all U.S. jobs are from Japan, SCHIEFFER declared that "the time to improve trade with Japan is now." To view the speaker bios, click here. To view the complete image gallery from JAPAN UPDATE HOUSTON CONFERENCE 2017, click here. On Saturday, February 18, 2017, middle school, high school, and college/university students from the Greater Houston area and neighboring towns competed in the 28th Annual Houston Regional Japanese Language Speech Competition. A record 75 participants showcased their determination, devotion and tenacity as language learners for the chance to advance to the TEXAS STATE JAPANESE LANGUAGE COMPETITION, which will be held on March 4, 2017.